There is an interesting article on the Lawyer website today. It draws on interviews with a number of senior lawyers about the past and future of legal practice. The whole thing is worth reading, but I want to comment here on some of the remarks about partnership as the organisational norm for law firms. When asked “Is partnership the right model for a 21st century legal services provider?”, most (but not all) of the panel responded positively. It was clear that for them, the mode of ownership was causally linked to quality of client service. I do think that the partnership model is the right model for a 21st century legal services provider. It brings with it the essential coincidence between ownership and management. That means that all of the owners (the partners) are driven to manage the business and the practice in a responsible, thoughtful, progressive and creative way. Once you divorce ownership from management, problems can arise. I think that clients very much appreciate the partnership approach. They like the fact that each partner is an owner and is thus naturally motivated to provide the best possible service to the client but in a way that means the full resources of the firm are used in support of the service. I actually like the partnership model. It creates a sense of ownership. That in turn creates glue internally and externally; it engages a team spirit in delivering what’s still a very personal service. We should hesitate before dismissing the partnership model, given the nature of the services that we provide. If it’s accepted that clients want their lawyers to be in effect their business partners and business advisers, the partnership model is flexible and it engages people, which is hard to replicate in a corporate structure where it’s more pyramidic. [I]t would be misguided to think the partnership model has no role in the 21 century legal services provider. Partnership can be a really empowering tool and if every partner in a legal services provider did his or her job well, and that empowerment is a big part of that, you will have a really successful legal services provider. A hypothetical ‘blank sheet of paper/perfect model’ law firm today comes with no guarantee of long-term success tomorrow. Every operating model needs adapting sooner or later and that’s where the real challenge lies. Such a law firm might do worse than to build an operation that keeps this need for flexibility front of mind and choose an organisational model that is equipped to respond quickly. I firmly believe that lockstep firms have a real advantage when it comes to implementing lasting change, largely because of the shared ‘team’ objectives that are inherent to that model. For the time being, yes, I think so, although I am sure we will see different types of legal services providers in the future. I am not convinced, however, that in the short term they will compete for the type of work we do at Travers Smith. A law firm partnership should be built on trust, respect and friendship – ours is, and it’s a key component of our culture and our ability to provide the highest quality service to clients. Top quality client service is at the heart of the law firm proposition. It’s not possible to deliver that without really top quality business support, be that IT, facilities or knowledge. Unless business services are respected and integrated as a key part of the overall service solution, they cannot provide the quality of support service that’s needed. In his recent detailed analysis of the top-level firms in New York and London, Bruce MacEwen showed that those firms appeared to be converging on a partnership comprising about 20% of total lawyers. If that figure is replicated across the sector, it is inevitable that four of every five lawyers working with clients are not partners (although many of those will aspire to become partners, of course, and that may affect their outlook). In reality, the figure may be greater than this — the responsibilities of ownership and management may leave less time for partners to attend to client work than their non-partner colleagues. I’d be interested in knowing whether clients really get better service from the lawyers who don’t own the firm. And of course, virtually none of the business services professionals who contribute to client service will even be eligible for partnership. I am also intrigued by the idea that ownership (or promise of ownership) generates a more client-focused culture. My experience of working with a range of marketing, IT, finance and other professionals has been that they can be client-focused as any partner. And I have seen partners put their perception of the firm’s interests ahead of those of their clients, to the firm’s ultimate detriment. I think some of the comments above are actually very context-sensitive. Slaughter and May is not a typical law firm, and it is easy to imagine that its partnership motivates its lawyers to perform in a very different way from others. Just because a model works well in one place, we can’t expect it to translate well everywhere else — other factors will play a critical role. Coincidentally, today I also read a post by Charles Green on the balance between individual and organisational responsibility for trust and integrity. He is clear that there needs to be personal responsibility as well as institutional support. A proper view of trust and integrity in business would squarely locate accountability on individuals. The penalties for violating rules should be in the range of 3X the ill-gotten gains, not 1X or less. Auditors may or may not be considered accountable for integrity and trust, but they shouldn’t think they can address these issues solely through risk assessment, monitoring and communications – not unless they address whether or not managers are clearly accountable (cf the recent GM mess), and whether or not the sanctions imposed on them for misbehavior are absolutely clear (e.g. swift termination for ethics violations, period). One of the problems with partnerships is that (depending on the terms of the partnership deed) it can often be hard to ensure that accountability for poor partner behaviour is as swift and public as Charles Green suggests it needs to be. The behaviour generated by a partnership culture is not necessarily all positive. I can see why firms cleaving to the traditional partnership model need to justify that choice, but the tone of some of the views expressed in the Lawyer article concern me. They almost suggest that any client choosing to work with a firm that is not organised as a partnership will get a poorer service as a consequence. In reality, my suspicion is that service culture is independent of organisational choice. As more different types of professionals become involved in supporting clients, I hope those clients will judge the quality of that work on what actually happens, rather than the way the business is owned. I will probably return to the theme of the legal ecosystem in the future, but this post provides an overview for now of where I think we stand, and what the future may hold — to the extent that prediction is possible in this complex system. In the metaphorical ecosystem of the law, firms are like organisms — needing food to survive as individuals, and reproduction to survive as a species If there is significant disruption in either of these, organisms become weak and eventually die out. This can happen in nature, for example, if there is a major external event, such as the K-Pg event, or if a predator becomes more numerous, as happened with many of the species hunted to extinction by homo sapiens. Firms survive when they have a constant stream of people to work in them (supplementing or replacing others) and new clients (or at least new work from existing clients) to provide work for those people. Any significant movement by one or other of those groups to alternative forms of legal problem solving or to avoid the law altogether will lead to the traditional law firm model dying out. Even a slight shift could be enough to small numbers of firms that don’t adjust to the new reality sufficiently quickly. The currently prevailing narrative is that the traditional law firm model is moribund. The first problem with this is that there is actually significant diversity amongst firms that may appear identical from the outside — there actually isn’t a single business model even for traditional partnerships. Another problem with this narrative is that it assumes that firms have not already reacted (and continue to react) to their changing environment — many are in fact intensely aware of market pressure and are actively finding ways of dealing with it. Putting those objections aside, however, is the environment changing enough to lead to the extinction of legal dinosaurs? In particular: are lawyers (and other staff) and clients behaving appreciably differently, and how are firms reacting to their changed behaviour? any model, process, or tool that represents a significantly different approach to the creation or provision of legal services than what the legal profession traditionally has employed. I want to group them slightly differently to help in thinking about their impact on law firms, their people and clients. By contrast, the traditional law firm is a partnership wherein client needs are satisfied in whatever way seems right at the time, and work is billed by the hour. What kind of impact will the businesses in this first group have on the traditional firm? Changes in ownership model will probably percolate into the wider legal market last — there are strong vested interests in partnerships that make it difficult (short of acquisition) to change the way firms organise themselves. However, some firms have become much more ‘corporate’ — relying heavily on professional management, for example — without ceasing to be partnerships. Ownership alone is also unlikely to be a significant factor affecting clients’ or employees’ choices, although the availability of legal and non-legal services together might be attractive for some clients. Businesses founded on distinctive pricing models may find their territory invaded most quickly by the traditional firm. It is important to remember that pricing models are not necessarily a unilateral choice — very few law firms will have not seen clients asking for capped fees, or fixed prices, and most of them will have found ways of meeting those requests. As clients become more confident in using alternative pricing models, law firms will move quickly to adopt them. In this scenario the billable hour will die a natural death. Which leaves alternative delivery models. Most of those models provide real benefits to clients, by way of improved service quality, cost or speed of work. It is sometimes harder for lawyers to see good reasons for changing their own ways of working. Clients may be able to force their existing law firms to adopt new pricing models, but they are unlikely to be able to make them change their processes significantly — few clients have sufficient leverage with their firms to do that. As a consequence, clients that want their legal services provided differently will have to choose firms that have already changed. The way law is done, then, is the new battleground for clients — firms and other legal services businesses that meet new client needs will (slowly, but surely) start to steal the market from the old and staid. What about people working in law firms? The picture here is much less clear. Paul Gilbert has written of in-house lawyers being in thrall to their law firms: “a form of legal services ‘Stockholm Syndrome’ that plays out between law firms and their hostage clients.” I think there is a similar effect within firms themselves. The promise of partnership (at some distant point in the future) leads many associates to put up with poor (almost oppressive) working practices in the hope that there will be ‘jam tomorrow’. Some enlightened individuals will fight within their firms for changes in the business. If they cannot make the firm change, it is easy to jump to another firm that will change — or to another business altogether. My uncertainty comes from not knowing how many of the enlightened there are. That is the talent pool for new legal businesses, but it might be quite small. If so, that will be a limiting factor for NewLaw. The other two groupings (providers of basic legal services and of legal expertise) face some of the same issues as the full-spectrum businesses. However, they could also affect the legal ecosystem in their own ways. At the other end, we have businesses who provide high-end legal expertise on a consultancy basis (or as an agency for experience lawyers). Both of these types of business can provide real value for their customers — whether they be law firms or in-house legal teams. The demand for legal services is not always consistent, so having a readily available flexible resource to deal with increases in demand when necessary is a real boon. However, their impact on the market for legal personnel is currently minimal. (Remember that there are nearly 130,000 solicitors in England and Wales.) There is probably also a natural limit to their growth because of the available talent. The businesses providing alternative resourcing of experienced lawyers depend on a flow of such lawyers from law firms and (less often) in-house teams. Those providing basic services have a larger pool to draw on (given that their personnel need not be qualified), but unless they offer some sort of career progression they will need to dip into that pool very frequently as their people move on. If the alternative resourcing businesses are limited by the supply of personnel, client demand might exceed the service available, leading to frustration and a grudging reversion to the service provided by traditional law firms. One way for these alternative resourcing businesses to ensure that supply of talent can be maintained would be to build strong links with others. For example, if basic service providers suffer from high rates of churn amongst their people (resulting in high recruitment training costs and stagnation in service provision), they might benefit from finding ways of offering their better staff a route to qualify as lawyers (or into related professions). This could be done in association with their in-house clients that need junior lawyers and can’t afford to train them. Likewise, those businesses that depend on a flow of experienced lawyers could turn to the same in-house teams just as their lawyers start to become jaded from working just with one client. In a previous post, I pointed out that over 90% of trainee solicitors were trained by law firms, and a third of those were in the larger firms. I don’t know, but I would guess that most of those trainees embarked on their careers aspiring to become a partner in the same firm. That was certainly the predominant view amongst my peers in the 1980s. In the event, many of them in fact moved to different firms to become partners. And some moved in-house. As long as those expectations remain, it is likely that the legal ecosystem will only change slightly at the periphery. Despite the existence of alternative career patterns, the cradle-to-grave traditional law firm will continue to be the aim for those embarking on a life in the law unless the alternatives can show themselves to be significantly more attractive. Remember Jordan Furlong’s definition of NewLaw only required the new business to be different — better is harder. As things stand at the moment, then, I would be surprised if law firms died out altogether. There will be some movement towards new ways of delivering legal services. Some of those new ways will be adopted by firms themselves, as well as being offered by new businesses. The least flexible, most traditional firms will probably fail as their clients and people migrate to better places. Some clients will turn their backs on traditional firms altogether, for all sorts of reasons. Similarly, some people seeking a legal career will choose not to fall into the traditional rut. But I suspect many (possibly most) clients and people will stick to the model they know. The fantastic thing is that there is a greater choice of legal services now than ever before — for clients and for people who want to work in the law. The real change in the legal ecosystem is that the traditional law firm has lost its dominance force. People and clients will be responsible for the shifts to come. We cannot predict the direction of those shifts without knowing how clients and people will reaction to change. This is the third part in my exploration of the legal environment. I have done a general overview and looked at the role of clients. Now I want to turn to people — the people who work in the law in one way or another. What impact do changes in the legal ecosystem have on them, and how might they affect it in turn? This is a slightly broader overview than the clients post, for reasons that I hope will become clear. The way people work in the law is changing. There are two major strands to this change — uncertainty in legal careers and diversification of roles within firms. We are partway through the first change, and the second is fairly novel but may be more far-reaching. Until a decade or so ago, the obvious choice for someone who wanted to embark on a career providing legal services (in England and Wales, at least) was to become a trainee solicitor (other options include going to the Bar or becoming a Legal Executive, but fewer of those opportunities were available). In 2002/03, 5,650 training contracts were available. (This and other statistics here are compiled by the Law Society annually, unless otherwise stated.) By 2012/13, this number stood at 5,302. There had been a slight rise during the decade, but there was a sharp drop in 2011/12 (for comparison, 3,681 training contracts were available in 1992/93). Over the same period, the number of solicitors with practising certificates had risen from 92,752 in 2003 to 127,676 in 2013 — a 38% increase. So the profession is growing, but not necessarily renewing itself at the same rate. Where are solicitors employed? The majority are in private practice, but there is a long term trend of growth in the in-house sector: until 2003, about 15% were in-house, but this had grown to 21% by 2013. However, training principally takes place in private practice: in 2002/03, almost 95% of all training contracts were offered by law firms. I don’t have access to the most recent statistics, but in 2008/09 law firms provided 93.5% of training contracts. Of those contracts, about one-third are provided by firms with 81 or more partners (32.9% in 2002/03 and 34.9% in 2008/09). Alongside solicitors, legal work is done by barristers (of whom there were 15,387 in 2010 — nearly 3,000 employed in law firms or in-house), legal executives (around 20,000 members of the Chartered Institute of Legal Executives) and paralegals (about 200,000 according to estimates by the National Association of Licensed Paralegals). As one moves away from the traditional legal professions, it is harder to find authoritative figures — the Legal Standard Board in its 2014 Annual Report only claims to cover a regulated community of 163,110 (including solicitors, barristers and legal executives, but not paralegals), whilst the Institute of Paralegals appears to provide no data at all on its membership numbers. Unfortunately for big-earning law firm partners, the world doesn’t work like that. Life can’t stand still: everyone needs new challenges, promotions, more money — a sense that their careers are developing. That is the problem now facing law firms which have taken advantage of the growing surplus of cheap paralegal labour that has been churned out by the law schools over the last few years. There has long been a divide in law firms between lawyers and so-called non-lawyers. (The term ‘non-lawyer’ was deprecated even before the Managing Partner Forum launched its Unsung Heroes campaign in 2004. A quick web search will also show that professionals of all types use ‘non-‘ as a marker for those who don’t have their expertise — lawyers are not unique in that.) This divide means that lawyers have usually been responsible for all aspects of client work — managing the relationship and providing the legal service. On top of that, lawyers are privileged by most regulatory regimes by being the only permissible owners of the firm — in only a few jurisdictions are non-lawyers allowed to become partners (or to wield equivalent de jure power). It is illuminating to see how things work in other professional services firms. Advertising agencies, for example, have long divided work between account managers (handing the client relationship, but not actually creating advertising) and so-called ‘creatives’ (who write the advertisements and create the artwork, but rarely deal directly with clients). Despite having distinct roles, neither is privileged over the other — partners in an agency will be drawn from both sides of the divide. Over time, other important roles have developed (such as media buyers and account planning) because there was a clear need for those functions. But just because there are different roles contributing to client success (whether in advertising or legal terms), we need to be sure we know how all the bits fit together. Dave Trott puts this well in this presentation to a group of young planners (0’0″ to 1’30” in the video). This is apparently “What Creatives Want From Planners.” That’s really quite simple. What creatives want is simplicity, clarity and inspiration. What they don’t want is complexity, confusion and prescriptive thinking. What they normally get is the latter — complexity and confusion — and they don’t get simplicity, clarity and inspiration. Most creatives don’t like planners. I don’t like planners. I also don’t like creatives or account men. I don’t like anyone who limits themselves to their department. Anyone who thinks the job is just to do what their department is. So I don’t like planners who think their job is just planning. They’re useless to me and they get in the way. What I love is people who are bigger than their job. I love ad-people. I love people who want to understand the whole job of what we do. And people who want to contribute to the whole of what we do — not just learn some useless planning language, talk useless planning language and impress each other with their planning language. That’s just planners talking to planners about planning, and it’s not advertising. It is interesting to contrast this notion of people being bigger than their job with the idea that one person should do a multitude of jobs (the normal law firm model). The motivation for both is the same — a desire to be sure that good work is being done for clients. The outcome is very different. Jacks-of-all-trades are known not to do as good a job as specialists who understand other jobs and can evaluate them but don’t do them. Most important — clients know the difference. And because they know the difference, they can act on it — to the point of moving their business to a firm that suits their needs better. That is one reason why a number of law firms and new legal businesses have developed new roles, many of which break down the barrier between support and delivery. Law firm finance professionals have become pricing experts — advising lawyers on better ways of charging for their work. They can only do this if they understand the client’s perspective as well as the work being done (as well as the obvious finance issues). Business development people have become more prominent in managing client relationships. Some of them will work as closely as the firm’s lawyers with an in-house legal team — helping them resolve issues that are as important to them as legal problems. Firms are starting to think of themselves as more than providers of legal advice. They are using internal expertise in HR, Risk and other areas to offer consultancy services to clients. These and other initiatives are breaking down the expectation that only lawyers can be responsible for so called ‘client facing’ or ‘fee-earning’ work. How do firms decide what to do? The first thing must be to take account of what clients are asking for (both directly and implicitly). But there is another factor — what skills and capabilities does the firm have at its disposal? To some extent, the direction a legal business takes will depend on the things it can already do and the things it can easily buy. As a result, good people who don’t fit the existing mould (like traditional lawyers) will be at a premium. They are the ones who are likely to be best able to help steer the most dynamic businesses in new directions. It will take time for firms to settle on the mix of roles and activities that suits them and their clients best. Over that time, some will also move to different business models. For some, opening up internal roles to the outside will lead to appointing some of their best specialists of all types to the partnership. Some may choose to move away from partnership altogether. For firms that take on (and develop) significant numbers of non-traditional lawyers, there is a choice to be made about the remaining lawyers — should there be fewer of them? how should they specialise? what does a development programme look like? For a long time, law firms all looked pretty similar. That homogeneity made it hard for clients to differentiate between firms. As a result, clients tended to focus on individual lawyers — they decided who to instruct based on historic personal relationships. That will still continue, but trust is more likely to become a hygiene factor. As clients become more sophisticated and law firms develop in different directions, it will become easier to latch onto the the things that a firm does that fit what the client business needs when choosing lawyers. But what does it mean for people who want to provide legal advice to clients? Law businesses are moving away from providing legal solutions to solving business (and personal) problems. Doing that successfully will demand a wider array of different roles and approaches than firms currently have. But the uncertainty about how those will evolve — which will be successful and which will fail — will be borne primarily by people. Those individuals who find a niche that fits them and the environment will be successful. But there will be others who won’t find a comfortable fit. At the moment, the functions of different legal businesses are still being redefined. Until they are more settled, there are plenty of opportunities to test different forms. Different ways of working. New opportunities for people who want to play their part in solving our kind of business problems. This is the second part in my exploration of the legal environment. The first part provided a general overview, and this moves on to look at how clients affect the operation of the ecosystem. For now, I am concentrating on business clients, rather than individuals. The vast amount of the buying market … have a legal problem, to which they need an effective solution at the right price. It is interesting to observe how in-house lawyers have grown in significance, and especially to look at the factors that have affected that development. Early GCs tended to be senior lawyers whose close relationship with one client resulted in co-evolution together. These GCs were characterised by deep experience of legal practice, together with insight into the business they served comparable to the other members of the board and senior management. Their work would typically be advisory, and law firms would be instructed to take on the more mundane activities. One obvious (and cynical) reason for using external firms is to take advantage of their professional indemnity insurance. More significantly, the cost of running a legal team — especially ensuring that lawyers are well trained and up to date on the law — was not within the means of most companies until legal information became more readily available piecemeal via online systems. In addition, in a time when there was little regulation of transactions or financial activities, the need for detailed legal advice was so much less important that an internal legal team was simply not necessary. By the end of the 20th century, it looked like things had stabilised into a fairly clear picture. Most businesses of a significant size had some form of internal legal capability — whether a GC alone, a Head of Legal with a small team of generalist lawyers, or a large multi-skilled group of lawyers rivalling many law firms in terms of size and expertise. The larger in-house teams were able to support trainee solicitors, so that it was possible for a lawyer to spend their entire career outside private practice. From the perspective of law firms, in-house lawyers were one source of work, together with executives and others at all levels of business. Sadly, I don’t have any data (if someone else does, please let me know in the comments below), but my sense is that until the early 2000s, relationships between law firms and their commercial clients involved the in-house team less than half the time. For many firms, therefore, the natural place to invest in those relationships was anywhere but the in-house team. At this stage businesses tended not to appoint panels of law firms for their work, and this also meant that the natural focus for lawyers was on those who were directly responsible for instructing lawyers. The last 15 years or so have seen major changes. Commentators tend to focus on the years after the banking crisis of 2008, but other factors prior to this had a part to play. One that has already been referred to is the way the information landscape has shifted. Until PLC (now Practical Law) was founded, law firms still had the upper hand in terms of access to legal current awareness and standard documentation. Businesses might have had access to databases like Lexis and to law libraries (either their own or those of local law societies), but those rarely gave much more than the primary materials: analysis of legal change was missing. PLC changed that — putting their law firm and corporate customers on a level playing field. The ready availability of other forms of technology (even basic tools like word-processing, email and law firm extranets) also eroded the distinction between in-house and private practice. In-house lawyers who were better equipped to compete with external lawyers could start to raise their profile within their businesses. In particular, they were increasingly responsible for controlling the flow of work to law firms. It then became more common to appoint panels of law firms to whom instructions could be give, as a way of managing the flow. Initially panels were sometimes quite large, but there has been tendency more recently to reduce numbers of firms on each panel. (Barclays being the most recent example.) One consequence of better management of law firms has been greater visibility of legal spend within the business. Once the cost of lawyers became a significant line on the balance sheet, it was only a matter of time before Finance Directors started to look carefully at how the money was spent. This is the beginning of costs pressure on law firms — budget control within businesses. Now, as the Financial Times reports [subscription required], in-house lawyers aren’t just instructing firms freely as they might have done before. They are managing their budgets carefully and turning to a variety of other providers. Nearly two-thirds of general counsel at some of the world’s biggest businesses have already used so-called contract lawyers rather than their traditional law firms, according to a poll of 185 in-house lawyers around the world with a collective legal budget of £3.5bn. The figure rose to 74 per cent among respondents who said they were likely to use contract lawyers over the next five years. But how should firms react? The problem for many firms is that they have tried to guess what clients need and invested heavily in a limited range of responses, which can be loosely defined as disaggregation. That may still work for some, but some initial evidence in The Lawyer suggests that clients are not overwhelmingly impressed. Respondents were asked overall how satisfied are they with the level of innovation shown by their primary legal services providers in relation to the delivery of legal services? Just 7.1 per cent said they were very satisfied. The Lawyer’s research found that the primary factor when buying legal services for the majority of in-house lawyers was quality. What isn’t clear from the report is whether firms have yet to change at all, or whether they have started to change but in ways that clients don’t like. What is clear is that clients are still not confident that they are getting what they need. The challenge for firms is more stark now than it has been in the past, but otherwise things are no different — it is virtually impossible to predict the future from current or past behaviour. In 1890, who would have suspected that 80 years later businesses would commonly have teams of internal lawyers? In 1970, who would have predicted that those teams would be competing effectively with external lawyers by the turn of the century? In 2000, who predicted that in-house teams would have the upper hand and be turning away from law firms entirely? I am not sure that even Richard Susskind saw that development coming. What happened over that long history was that firms and clients evolved together into new relationships and business models. That is what will happen in the future too, except that the term ‘law firm’ will have to expand to include many new types of business, some of which may depend much less heavily on lawyers than firms do now. As the new legal landscape develops, clients will also continue to change in ways that are unpredictable as responses to those changes. Only by keeping an eye on what is happening, and regularly testing new ideas will firms be able to have any confidence in surviving. There is a future for some forms of legal business, and there will continue to be some kind of exchange of value for legal services — they won’t become a purely internal function. As legal businesses change the way they work, it is possible that they will start to be able to meet currently latent demand for their services. But what might this mean for lawyers? The next post in the series will explore that. @markgould13 Blog post about contemporary legal firms framed as Jed Bartlett's White House, please! This is an attempt to rise to the challenge. Most of last week was spent on a Cognitive Edge course on Cynefin and sense-making. Despite having done a similar accreditation course in 2010, there was a lot to process. I am still doing so, and a few blog posts may emerge as a result. However, a couple of concepts are relevant here. My memories of The West Wing are sketchy, but one aspect of it does stick in my mind. Apart from the necessary confusions that drive the plot forward, each character has a clearly defined role within the White House. Most importantly, although he is by some measures the most important person, President Bartlett doesn’t get to decide everything. In particular, crisis situations see him take leadership from one or other of his staff members (depending on their particular expertise). One of the radical alternatives I and others are working on here is the concept of crews as a way of ritualizing, and formalizing cross silo activity. A crew has cognitive capacity beyond the sum of its members, members occupy their roles for limited time periods, with people swapping between roles to allow for continuity. In addition crews can delegate power in context outside of the normal hierarchies. Crews are commonly seen in crisis situations, but confusion can arise when there is inadequate preparation for the arrangement. Another TV drama provides an example here. In the most recent series of Wallander, the eponymous police inspector accidentally leaves his gun in a bar. On his return from suspension for this breach, his team is told that he will remain in charge of investigations but his colleague Martinsson will be responsible for team admin and HR issues. Inevitably this produces some tensions as the two work their way around these directives (apparently without discussing them openly). Within a family I may have many roles such as father, cook, picker up of cat sick, humane disposer of spiders, fault bearer (just keep adding them) which I or others perform at different times. The family has a coherence that is more that the aggregate of its parts or its roles. An identity does not have rigid boundaries, nor is it susceptible of precise definition. When does one’s daughter’s boy friend become a part of the family? A cousin twice removed may be an intimate of one family and an unknown relative in another. A crew, then, depends on people recognising that their identity (the part they are playing now) is more important than their role in the organisation. That is what allows a nurse in an operating theatre to require a surgeon to count all the swabs that have been used, to make sure there are none left in the patient. So where is the law firm link? One angle is that for too long, the traditional law firm partner role has encompassed too many identities at the expense of using non-legal expertise effectively. Bruce MacEwen wrote a couple of compelling articles which make the case much better than I could. Another angle is provided by a conversation I had with Jeremy Hopkins of Riverview Law last Friday. It was fascinating to learn about what Riverview do, and the part that Jeremy (not a lawyer, as if it matters) plays in their work for clients. Whilst law firms have conditioned themselves to think that the lawyer has to be at the heart of the client relationship, Jeremy described work that he has managed for clients where few, if any, Riverview lawyers were involved. The point is that clients get exactly what they need, provided by people who came together as a crew to do just what they are best at, efficiently and without having to worry about soothing the ego of an overstretched law firm partner. I am sure this model will work well for Riverview and its clients. So, law firms, what’s next? One of the first law lectures I attended, over 30 years ago, was given by Avrom Sherr. As we all settled ourselves, full of our importance as future lawyers, Avrom walked into the lecture theatre and lay on his back on the desk at the front of the hall. The hubbub subsided and there was a moment of uncertainty (embarrassment even) before he got to his feet to start the lecture. The point of this act of theatre, we were informed, was as follows. In previous centuries, medical students were taught from cadavers. As a consequence, everything they learned was pathology. More recently, medical science had caught up with the idea that most people were actually healthy and that there was probably more to be understood about the workings of healthy bodies than diseased and dead ones; certainly as much that would be useful to those charged with the care of the living. Legal studies, Avrom argued, had a similar problem. By studying the pathology of the law (as found in centuries of case law), the real life of the law was lost. His impersonation of a cadaver was intended to remind us that although dissection of cases (like anatomy lessons) had a purpose in learning about law, we should not forget that the vast majority of legal actions (making contracts, administrative decision-making, etc) would never be even be the subject of litigation, let alone a reported case. I was reminded of this experience, and the valuable lesson, by a short article in The Lawyer by Peter Kalis (chairman and global managing partner, K&L Gates), “Lawyers as robotic bores? It’s not the English way”. Mr Kalis will be writing a series of articles, and this one sets out his stall. In future columns I’ll supply some thoughts on our evolving industry. In this inaugural venture, however, I wish to acknowledge my debt to the English legal tradition. In other words, I come in peace. He singles out three legal academics whose work influenced him whilst at Oxford 40 years ago: HLA Hart, Sir Otto Kahn-Freund, and Mark Freedland. Why do Professors Hart, Kahn-Freund and Freedland matter here? Their careers nicely illustrate that law is about ideas and the ability to express them, whether in service to clients or to scholarship. In future columns you’ll see me challenge those who regard lawyers and their firms as anachronistic and those who would reduce us to automata and algorithms. It will be my way of saying thanks to Professors Hart, Kahn-Freund and Freedland, among so many others on your side of the pond. That description of the purpose of law — “ideas and the ability to express them” — resonates with my experience as a raw undergraduate. After four years of study at Warwick, it was clearer than than ever to me that law doesn’t exist to give opportunities to judges and law reporters. As an academic discipline it can be a kind of applied social science — a combination of psychology, ethnology, economics, politics — that may help to describe how social and individual relationships might work out in the presence or absence of power. Unlike many of those other disciplines, law also has a practical life outside the academy. Its practitioners have the privilege of being able to help mediate in those relationships — supporting or opposing power as necessary. Over the past few years, I have kept coming back to this point about relationships in my work and on this blog. I am more sure than ever that good law, sensitively practised, depends on an understanding of the people involved. That understanding requires the kind of insight into human relationships, desires and needs, power structures, that I suspect most people develop unconsciously. Critically, though, technology struggles with this aspect of law as lived. It sometimes appears that the most vocal technology advocates forget this. As news this week about the Turing test shows, it is too easy to be blinded by overblown claims of what computers can do. The reality is usually much more limited. In this context, also, we need to know whether a piece of legal technology deals with a pathological legal problem or the real human issue that underlies the call to law. If it doesn’t look to the latter, then it will be of severely limited use. That is not to say it will be useless, just good for some things only. It is difficult to imagine that anyone in law firm management is not yet aware of Bruce MacEwen’s masterful review of the current state of the legal market, entitled “Growth is Dead.” The series is now up to its tenth instalment and the focus has turned to clients. Whilst the whole series is required reading, this part resonated particularly for me for a number of reasons. It contains some truths that KM folk should reflect on, and one of the comments raises a common issue where a traditional approach often fails. Firms in Phase I find a comfort zone of things they (as proud and unbending autonomous individuals) enjoy doing, and they assume without, I imagine, really giving it much conscious thought, that since they enjoy it clients will appreciate it, or because they find it interesting clients will too. Phase II is a bit more mature and purposeful. In this phase, lawyers and firms try to analyze what services clients are seeking and purchasing, and then attempt to mold their offerings to client demand. And most important by far, it postures the entire offering and engagement around what the client needs, not what you can do. I think the same phases apply to KM (certainly in law firms, and probably elsewhere as well). The equivalent to “sell what you make” in Phase I is the repository-building approach to knowledge. It depends on a conception of knowledge as stuff that can be gathered, traded and measured. The knowledge or information professional is a gatekeeper for material that is held “just in case” it might prove useful in future. While this takes the lawyer out of the very center of the picture, and gives the client a bit of breathing room alongside, it’s still passive and reactive. 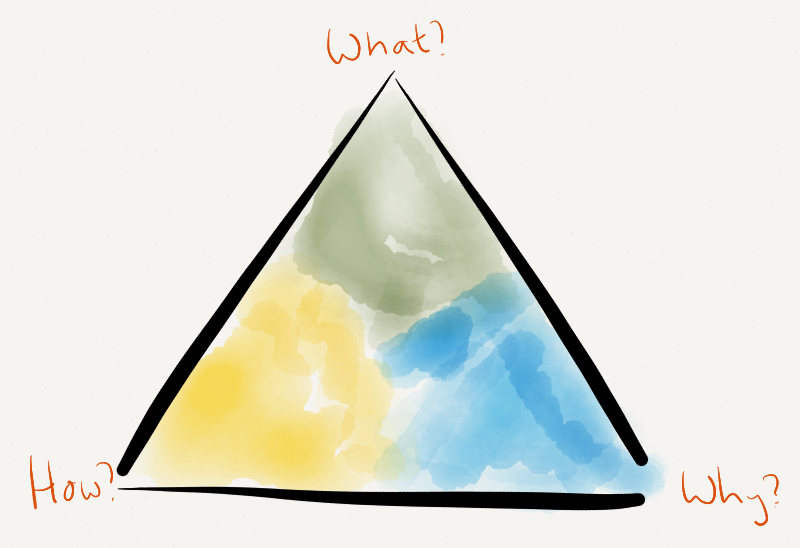 To begin with, what if the client doesn’t know or can’t articulate what they need? Worse, what if your firm really isn’t ideal for what the client wants? In that case “making it” for them might not be doing them any favors. Bruce is talking here about lawyers dealing with clients, but it applies just as well to knowledge professionals working within businesses. This passive, reactive, transactional approach to KM will get you a bit further than the repository-building approach, but there is still no guarantee that your work will really make a difference. And making a difference is essential, otherwise the business can do without it. It’s not about what the lawyers prefer to do or are in the mood to work on; nor how brilliant, experienced, and highly credentialed they are (though I’m confident they are exceptionally so); nor about how much other clients adore them and sing their praises; nor, finally, is it about the law firm at all. It’s entirely about making the clients life easier, less worrisome, and letting them focus on their business and not this potential legal landmine. Good KMers should also focus on making people look good. What does the firm need? That is what should be done. This is where we get to the question in the comments to Bruce’s post: Bob Jessup asks how to get meaningful feedback from clients. This is also a problem for knowledge professionals. Just as clients may ask for something when really they need a completely different approach, so our colleagues may have preconceived ideas about their knowledge needs (they might want a repository, but never use it when it is provided, for example). How to get round this problem. I think there are two very different approaches available. The first is to emulate Apple or the early BBC — don’t ask people what they want, but just give them something that you know to be high quality in the knowledge that they will come to love it. That might work if (a) you are absolutely clear about your purpose and never divert from it (something that only people of Steve Jobs’s or Lord Reith’s calibre can guarantee), and (b) your market is still in its infancy. Clients, like anyone, don’t like to give bad news, and often find it hard to “put their finger” on what might be wrong. Those in-house counsel giving C’s to the outsiders probably aren’t giving those C’s when presented with an inquiry or a written evaluation form. That isn’t a surprise — anyone familiar with the work of Dan Ariely and other behavioural economists will know that people often say very different things from what they do. But how do we find out what clients really feel, or what they really need. There is a clue elsewhere in Bruce’s post. Like secondments, holding seminars on the client’s premises will often uncover issues that might not come to light through a questionnaire. The comfort of being on home ground will encourage people to say things that they would not express in more public situations. This might also be an opportunity to involve people other than the direct in-house client: do you know what your client’s contract managers, procurement teams or sales staff think of the contracts you draft? Again, this has resonances for knowledge people. Whilst we might think we can identify what is needed by talking to our colleagues, and building relationships with them, it is also valuable to find out what clients think of the work that our colleagues do. Armed with that insight, we can ensure that they have what they need to look good in front of the client next time. Conversations need time to develop, but they generate narrative — anecdotes or stories — that are essential to make sense of things. Another way of generative narrative, which might be useful when there is no single client view, might be to use anecdote circles. Shawn Callahan and his colleagues at Anecdote have created the “Ultimate Guide to Anecdote Circles” — an excellent introduction to and explanation of the method. In the end, then, the challenge that law firms face in really getting to the heart of what clients need from them has an exact counterpart for knowledge professionals. More than that, the tools for achieving this insight are actually knowledge tools, but only if we situate ourselves squarely in the Phase III approach to understanding and helping people. I am intrigued by what the future historian will make of the economic and commercial change we are currently experiencing. Will this be another ‘world turned upside down’ moment, or just a blip in the continuum? Over the past couple of days, I have read a few commentaries suggesting that law firms at least are facing real upheaval. They also start to indicate what the way out might look like. First, a couple of last month’s posts from Bruce MacEwen. It is trite to point out that the supply side of law firm economics is notoriously fickle: Bruce links the problem to change on the demand side. Imagine for a moment you are in charge of designing the balance sheet of one of these firms (or any sophisticated law firm regardless of location and absolute size). As you examine what role debt should play, perhaps the first question that should come to mind is “what assets do we have on the other side of the ledger, against those hypothetical liabilities?” And the answer is: Elevator assets. That’s it, folks. Your firm’s primary and only meaningful asset is its talent: Its human capital, a/k/a its people. And on the other side of the ledger? And, most importantly, if a firm’s partners and/or clients begin to lose confidence in the firm, receivables decline in value abruptly and often irretrievably. Fundamentally, building long-term debt on to the balance sheet of an enterprise whose only material assets are readily marketable and freely mobile human beings is to repeat the classic mistake of the institutions at the core of virtually every post-World War II financial crisis in the United States: It’s to create a timing mismatch. That is to say, firms doing this are securing long duration liabilities with short duration assets. Should anything imperil the value of the short-term assets, the roof can cave in before you can evacuate the building. How can law firms protect themselves against this problem? In a later post, Bruce hints at the traditional way they have done this — by trying not to scare the troops. Imagine a firm that allocates its talent, investment, and management focus consistently every year, making incremental changes but following the same “steady as she goes” broad pattern year after year. Imagine another firm that consistently evaluates the performance of practice areas and offices over time and adjusts the allocation of lawyers and other resources based on relative market opportunities (be they expanding or shrinking). Which would you guess is going to perform better over some suitably extended timeframe? And which model do you think most law firms actually resemble? The answer is that most law firms favour the ‘steady as you go’ approach, which is also the one in which performance is more muted. This reflects research done by McKinsey into successful strategy in corporate America. Companies that reallocated more resources—the top third of our sample, shifting an average of 56 percent of capital across business units over the entire 15-year period—earned, on average, 30 percent higher total returns to shareholders (TRS) annually than companies in the bottom third of the sample. This result was surprisingly consistent across all sectors of the economy. It seems that when companies disproportionately invest in value-creating businesses, they generate a mutually reinforcing cycle of growth and further investment options. Consistent and incremental reallocation levels diminished the variance of returns over the long term. A company in the top third of reallocators was, on average, 13 percent more likely to avoid acquisition or bankruptcy than low reallocators. Over an average six-year tenure, chief executives who reallocated less than their peers did in the first three years on the job were significantly more likely than their more active peers to be removed in years four through six. In other words, not only did “high capital reallocators” generate superior growth and returns, they did so (a) with lower volatility and risk, including lower risk of bankruptcy or acquisition; and (b) with less managerial turnover. Bruce suggests that this process of constant review of profitable and unprofitable activities is something that law firms need to start to emulate. Unfortunately, that process will affect the firm’s position in the market for lawyers. It therefore needs to be matched with real attractiveness in the firm itself. Businesses like Google or Apple routinely drop products or service lines if they aren’t working out. Inevitably this will induce a sense of volatility (and nervousness) in their people: will I still have a job tomorrow? But Apple and Google are still places where people really want to work. The law firm that can create the same sense of positive nervous energy must surely have a winning ticket. So what might that winning ticket look like? Two unrelated posts elsewhere provide some clues. A: 1% of a huge, established market? B: 100% of a completely new one? If you work for Apple, you might have picked B. But too often when companies embark on innovation projects, they pick A: that is, they start by believing that nothing could be easier than to capture a small chunk of a very big, existing market. But to unleash the power of innovation to capture big markets, what matters is not how big any existing market is but how many people are wrestling with some problem that no current offering really solves, what we here at Innosight call the “important and unsatisfied jobs” of consumers — and non-consumers. When sizing an innovation opportunity, what you should be looking for are jobs what are widely held and currently poorly served, not lots of people who haven’t bought your own products yet. I suspect that many firms concentrate too much on one or both of (a) their own internal issues or (b) resolving the problems that clients bring to them. Robyn shows how this can go wrong by examining what happened when Kellogg first tried to enter the Indian market. Things didn’t turn out quite as planned. How is it possible that Kellogg could envision building a $3 billion business in India, invest $65 million in the first year alone, and end up, 16 years later, with only $70 million in annual revenues? And how can other business leaders avoid making similar mistakes? Kellogg’s mistake (admittedly easier to see in hindsight) was that it had taken a far too simplistic approach to identifying its “huge” market, merely looking for people who might want its products. Essentially, the cereal company failed to understand that Indians culture favoured warm breakfasts, so a cereal served with cold milk was unlikely to be more than a niche product. They also struggled with pricing: starting from a base that was 33% higher than the domestic competitors. Better insight into the needs of Indian consumers might have led Kellogg to create versions of traditional foods that could be stored and prepared more easily. Law firms could therefore improve their product by really getting to the heart of what their clients need to achieve — not the explicit needs, such as getting this deal done or settling this litigation, but the more important unspoken ones. What is the client’s market like? What pressures are there on profitability, costs, income, competition, regulation? What would help the business to meet those pressures? Alongside this focus on the product (what the firm does), there is also a need to look at delivery (how it does what it does). This is something that Ron Friedmann examines in his most recent post. Only a few firms will continue to win business on the strength of their name. The rest must provide clients with better service delivery to keep and win business. That means understanding client expectations and changing how how lawyers practice and the firm operates, for example, with alternative fee arrangements, process improvement, project management, KM, technology, new approaches to resource allocation, a better approach to staff support, value-add services (e.g., private content), and tailored business intelligence. Let’s go back to where we started: the problem of elevator assets. Bruce MacEwen lists 26 law firms that are located within a 7 minutes walk of each other in New York. The point he makes is that this proximity could make movement between the firms a trivial matter. But that is only true (putting aside constants like the hiring process) if each of those 26 firms is practically indistinguishable — whether to its lawyers or to its clients. As soon as one firm stands out (as Google or Apple do in their markets), joining or leaving that firm is a much more significant step. The fear that constant change and improvement may bring could actually make the firm more attractive to join and more difficult to leave voluntarily. In general, I am not keen to get bogged down in debates about the financial value of knowledge management, or the RoI of particular activities. To an extent this is because I am not well-versed in financial management, and I suspect that those who are sometimes use their expertise as a black art in a way that constrains experimentation and innovation. Also, for knowledge-intensive businesses (like law firms) it should actually be difficult to argue against effective management of knowledge activities — they are a basic health requirement, not a luxury. However, a couple of recent blog posts (together with an old memory and a conference presentation) have brought the value question to the fore for me. Some time ago, I attended a two-day workshop on knowledge management in law firms (probably the only formal KM training I have had). One of the principles that stuck with me was that KM value can be judged by how well it supports the core elements of law firm profitability. Memorably, this comes with an acronym: RULES. Speed of billings and collections. KM can help improve all of these in one way or another, and it is always useful to take time to contemplate whether we are doing our best in each of these areas. As usual, it is also important to distinguish the knowledge component from other areas of management. KM is not about improvements in time recording, for example — that may be a joint effort between IT (building a system to automate timesheets), HR (designing processes to help partners recognise good practice and manage poor time-keepers), Finance (communicating the impact of good time-keeping, billing, etc), and BD (collating feedback from clients on good and bad practice). However, along with these functions, KM people will have a part to play — perhaps by unpacking what lawyers actually do when they work and exposing where the pinch-points are, or developing clear checklists and guidance to ensure that there are as few obstacles as possible to doing all the important elements of the job. One of the interesting points in profitability is leverage. As Toby Brown makes clear in his 3 Geeks… post today, many partners fail to understand the financial importance of driving work down to the lowest effective level. Yet most firms don’t get this. Primarily because comp systems reward a different behavior. They’re not designed to reward profits – they reward hours and revenue. This is the case since these compensation systems were designed under a different model. This was a cost-plus business model, where profit was built into prices (a.k.a. rates). So partners have not focused on the metric of profitability in this fashion. Once partners understand this, then it becomes quite natural to shift work to its lowest cost, effective labor source. Ron Baker will likely appreciate this statement: Tasks should be performed at their cheapest, most effective, level of timekeeper. This behavior will lead to improved profitability for law firms. But more importantly, this same behavior will lead to lower costs of service for clients. On a simple, illustrative level this means partners should not be performing tasks associates or paralegals can perform sufficiently well. Doing so undermines profits and raises costs for clients. That was always a poor argument (and to be honest is a bit of a straw man), but now we know how much the economy has affected our clients and most firms, if not all, profess to understand their clients. However much lawyers try to empathise, many of them will miss the impact of overruns on legal fees. For me it was brought home by Tony Williams in the keynote I referred to in my last post. He pointed out that in addition to delivering commercial legal solutions for their companies, General Counsel will be under pressure from their Finance Directors to manage costs to a pre-determined budget. Any overrun on that budget will require a many-fold increase in turnover to cover the cost. For example, take Tesco, which appears to have a net profit margin of about 4% at present. (I know nothing of that business, apart from being an occasional user of its retail services (usually under duress). All information replicated here is taken at face value from public sources.) In rough terms, this means for every £100,000 of revenue, Tesco spends £96,000, and only makes £4,000 profit. Any cost overrun eats directly into the profit (it can’t come from anywhere else), and so has to be matched with a significantly greater increase in sales. A law firm acting for Tesco that allows costs on a given transaction to increase by just £12,000 (maybe three associates taking a day and a half longer than they should have done on the job) will require the supermarket to make £300,000 more in sales just to maintain its margin. Which partner wants to tell their client that because of the firm’s shoddy KM, the client needs to find an additional £300,000 revenue? Maybe the RoI on KM needs to be measured by reference to a reduction in the number of difficult conversations partners have with clients? The other point about valuing KM was made very forcefully by Nick Milton, developing a point made by Larry Prusak. He asked “What percentage of a company’s non-capital spend, is spent on knowledge”? Now I would be thinking in terms of 3% maybe – perhaps the training budget, or perhaps the budget spent on conferences, but Larry suggested that would be quite wrong. Take the company wages bill, take away what this bill would be if everyone was paid as a new graduate, and that’s the investment in knowledge. After all, if knowledge was not valuable, you could staff the company with smart young graduates at a fraction of the cost. The only reason you don’t, is because knowledge is valuable. Nick’s post got me thinking. How much do law firms value knowledge and, more interestingly, what return do they get on it? That latter point was not part of Nick’s argument, but it is one that can be explored quite easily for a business (like a law firm) that charges directly for the use of its knowledge. Just as one can get a figure for the value of knowledge by totting up a notional wages bill as if everyone was a raw recruit, one can do the same for the return on this value by calculating notional fee income for these raw recruits and comparing that figure with the actual fee income. I have postulated an imaginary law firm: with 1060 staff and partners, a total of 120 partners in three grades, 500 other qualified fee-earners (in four bands), plus 75 trainees. The 365 support staff are grouped into five bands. Unfortunately, it is not possible to embed Google spreadsheets here, but this link will go to the full set of data. Using some rough data for salaries (I have given the partners a salary for the purposes of the calculation, even though they would usually see a share of profit), fee rates, and so on, I have arrived at the following figures. Please take a look at the figures in the spreadsheet and suggest amendments n the comments — I don’t claim that this is a perfect model. However, it does suggest that this firm pays its people a knowledge premium of £30,600,000 annually, in return for which it recoups additional income of £85,687,500. This looks like a pretty spectacular return on investment to me.